Be the first to share your favorite memory, photo or story of Zelda. This memorial page is dedicated for family, friends and future generations to celebrate the life of their loved one. Mrs. Zelda Gruenwald, age 71, passed away Friday, November 23, 2018. She was born in Cullman, Alabama on April 21, 1947 daughter of the late Riley & Mildred Hanners. Mrs. Gruenwald enjoyed working in her rose garden. She always spent her extra time spoiling her children and grandchildren. She was preceded in death by her parents; brothers, Max Hanners, Charles Hanners & Roger Hanners and grandson Justin “Timmy” Allmon. 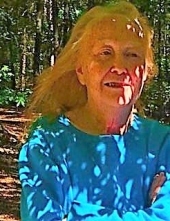 Survivors include her husband, Walter Gruenwald; children, Sabrina Holsey, Elizabeth Thorn, Danny Bickers and David Duncan; several grandchildren, great grandchildren and great-great grandchildren; brothers, Buster Hanners and Jack Hanners; sisters, Octavia Hanners, Beverly Hanners, Judy Mantooth, Daine Ginn and Pat Myers. Several nieces, nephews and cousins also survie. Service to celebrate her life will be held Saturday, December 1, 2018 at 1:00 PM in the chapel of Smith & Miller Funeral Home. The Smith & Miller Funeral Home of Cedartown is honored to serve the family of Mrs. Zelda Gruenwald. To send flowers or a remembrance gift to the family of Zelda Gruenwald, please visit our Tribute Store. "Email Address" would like to share the life celebration of Zelda Gruenwald. Click on the "link" to go to share a favorite memory or leave a condolence message for the family.